Public pressure can make a difference. California is the latest state to ban plastic microbeads, and its law is probably the nation’s toughest. Environmentalists hope the legislation will become the model for a future U.S. statute. But even before California’s action, eight other states had adopted microbead bans that will take effect before California’s law. Additionally four multinational corporations, because of consumer duress, had committed to phasing out microbeads even sooner. 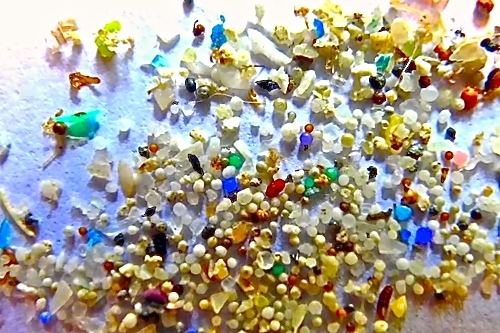 As their name indicates, plastic microbeads are tiny plastic spheres. They are often used in body and facial scrubs and toothpastes, purportedly to enhance their cleansing properties. They go down our drains and end up in our oceans. Thanks to public education from sustainability groups, like the ocean advocacy organization 5gyres and others, the problem of ocean pollution, especially by plastics, is well known. Additionally, plastic in fresh water is also a major concern, especially for the Great Lakes. Partially because of that, in June 2014, more than a year before California, Illinois became the first state to ban microbeads. The Illinois ban takes effect in 2019. California’s ban does not become effective until 2020. 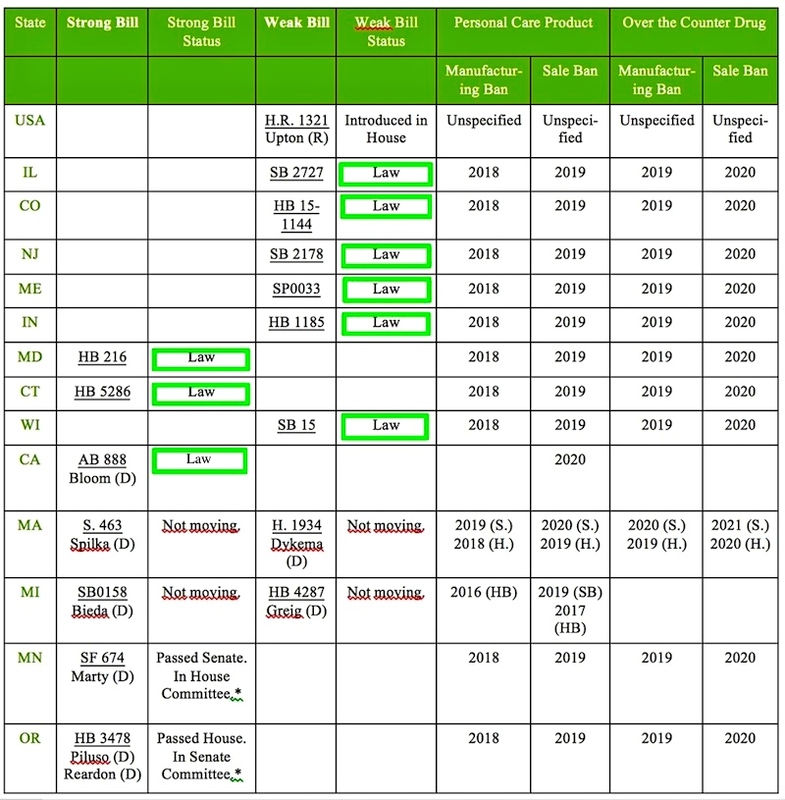 Information about the other adopted and pending state bans appears in the chart at the end of this post. Unilever, L’Oreal, Johnson & Johnson, and P&G have committed to remove microbeads from some, or all, of their products. In 2012 Unilever was first of the group to announce that plastic microbeads would be removed from all of its products by 2015, and according to the company’s website that has occurred. The other manufacturers aim to eliminate plastic microbeads by 2017. Unilever is often a leader in corporate social responsibility (CSR). It is the fifth largest 100% green-electricity user among U.S. companies. Its use of 0-carbon electricity generated from renewable sources avoids approximately 50,000 households worth of CO2 emissions.